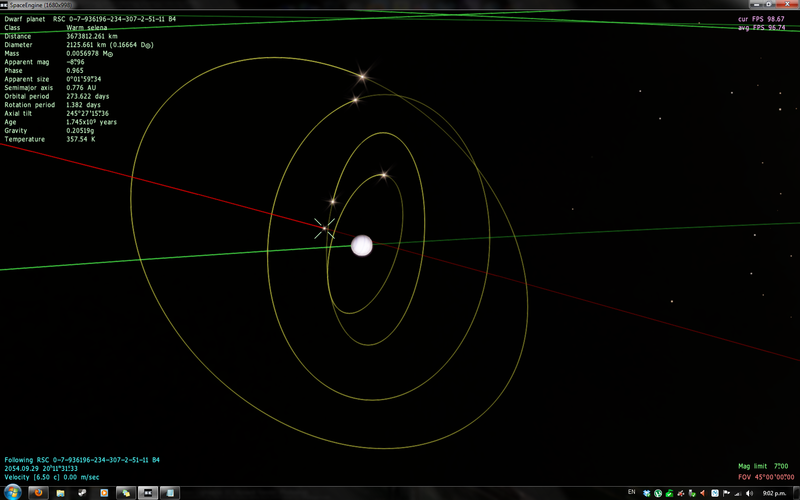 The little dwarf planet I was following intersected the orbit of a massive gas giant. Zooming out with visible orbits shows it slap bang in the middle of various moons..! For reference, here is the system for the star the planets were orbiting (part of a larger binary system). Now my question is that in a real system like this, how would the orbit of the planets be affected? Would the dwarf planet be pulled into the much larger gas giant? Just wondering. P.S, SpaceEngine is amazing, keep up the good work. I've spent countless hours aimlessly wandering the universe. 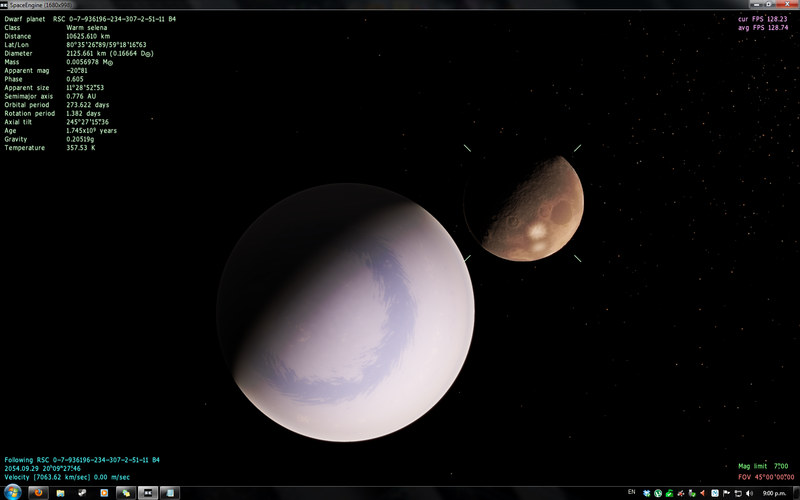 This is quite common in SpaceEngine. 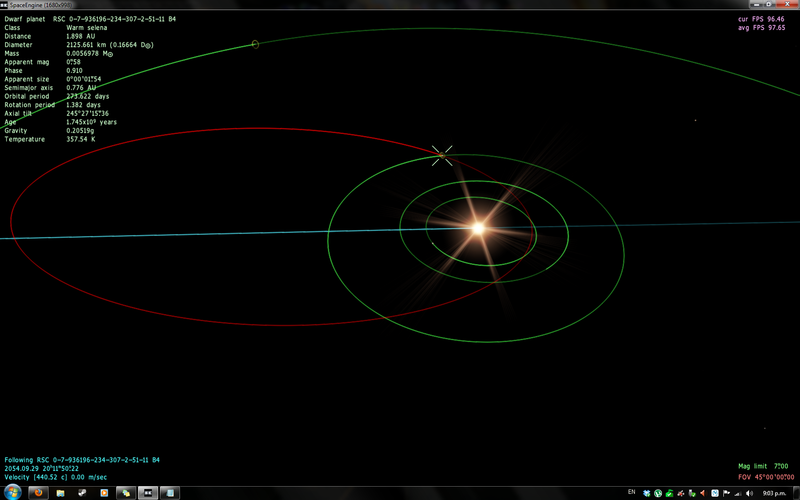 I don't think that kind of an orbit would be stable in the real world. The dwarf would probably be flung into the star or out of the system. It would be stable if there were no other bodies in the system. However in the case of this system, the orbit would work for a little while but inevitably the gravitational tug of the other planetary bodies would cause its orbit to either stabilize or cause a collision.. Most likely you would end up with a collision. It would be stable if there were no other bodies in the system. I agree that that kind of an orbit is possible if there were no other planets, but since there are, it would not be stable.